Our Early Years Programme is all about using music, singing, & movement to promote learning, helping to develop life skills, confidence & creativity. All our sessions are carefully designed to stimulate children’s minds, whether it’s tiny babies, or pre-school children, Open The Door activities are a ‘delight to the senses’. • £5 per child & adults go free. Places must be booked. • Tytherington Family Worship Community Hall. 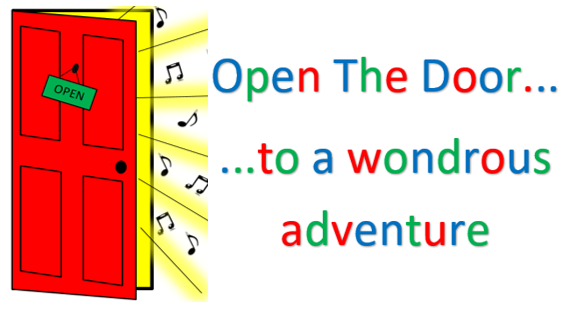 • Drop in on a Monday morning to start the week with great coffee & a gentle sing-a -long with babies & children. • Only £1 per child.